From small residential projects designed to help make a house a home, to large commercial projects that are integral to the building of better communities, with every landscape we create we strive to meet our clients' needs and exceed their expectations. We take pride in ensuring that all aspects of our work is of the highest standard and are committed to maintaining a safe working environment for our teams as they strive to establish safe and appealing landscapes for our clients and the public to enjoy. 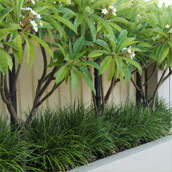 Prime Landscaping is also committed to playing its part in preserving and enhancing the natural environment. As a Waterwise installer, we are always looking for efficient ways for our clients to save water. 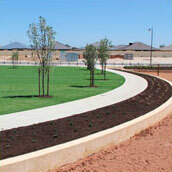 With a strong commitment to quality and the energy and enthusiasm of a professional management team, Prime Landscaping has established a reputation for the provision of innovative, high quality, landscape construction and maintenance services. To consistently exceed expectations through high quality, efficient, reliable and honest service. We behave in an ethical and accountable manner. We promote efficiency and effectiveness with respect and integrity. We believe honesty is integral to our business. We consider occupational health and safety essential.